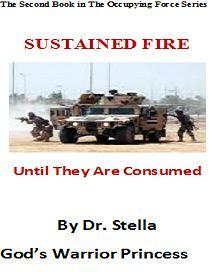 Welcome To Fire Power Ministries Deliverance Blog. Our Goal is to provide you with tools and resources to break free from the devils works and stay free. Chose a prayer topic for your situation on the left. Go on a fast for 10 days; 6am to 6pm and pray every night. Pray until your situation changes. For prayer call into the prayer line at 11pm US CST. 7124320075 pin 835555#. You will win in Jesus name. Theme: It Doesn’t Take All That… Does It? If you had asked me a few months ago if using “prayer points” was an effective tool for waging spiritual warfare, I would have said “I don’t know; I am not sure”. – 11pm to 1am EST. serious gynecological problems, Marital distress, miscarriages, impotence, untold hardship, financial failure and general failure at the edge of breakthrough. In fact studies shows that seven out of ten people in the church are affected by these spirits. Everyone needs this information. SCRIPTURES: Mt . 12:28, Lk. 9:1 -2, Lk. 10:19, Acts 10:38, Mt. 8:16, Gen. 1:3, Jn. 1:1, Mk. 11:23, Ps. 107: 2, Mt. 8: 28-34, Mt. 12:29, Mt. 16:19, Rm. 10:10, Rm. 10:17, Ps. 17:4, Jn. 14:23, Jn. 15: 7-8, Isa. 65:22. 1. I stand against the following powers in the mighty name of Jesus. (a) The power to sow but not to reap. Here it is at last, The 1st. Prayer and Deliverance Bible published by the Mountain of Fire and Miracles Ministries with Notes by the General Overseer of M.F.M Dr. D.K. Olukoya. This Bible is a MUST have for all Christians, Christian workers, Ministers who are interested in the issue of Solution Evangelism, Prayer, Deliverance, Intercession, and Spiritual Warfare.The Bible contains powerful messages on the Science of Prayer and Deliverance, over 4000 prayer points addressing various needs, Dictionary, Concordance and also contains the Words of Jesus in Red.It is a Giant-Print Edition, has GOLD GILDED Page edges and its Leather-Bound. Click below to Order Your Copy Today – Limited copies available.